Kemp Financial | Why Are The Wealthy Shying Away From Their Estate Plans? Estate planning can be an onerous task. It is perceived as being time consuming and forces one to consider mortality. It’s no surprise then, that the majority of Canadians die intestate. As Certified Financial Planner’s we understand the importance and benefits an estate plan can have on your financial future. We always recommend getting started on a plan sooner rather than later. To learn more on estate planning read our article on Estate Planning for Beginners. For those who have already designed an estate plan, it is only fair to assume that the next step is implementing that plan. However, according to a recent study completed in this Forbes article, some wealthy clients put a stop to the process before implementation. The study involved 619 trust and estate lawyers who had all run into situations where a wealthy client did not implement their plan after it was created. Surveys were conducted of 288 wealthy U.S families(net worth of $10 million or more) in order to better understand why some clients choose not to take action. What is important to note is that each of these wealthy families had engaged a trust and estate lawyer to design their estate plan, but never followed through to implementation. This ultimately asks us, why are these wealthy families shying away from implementing their plan? Nearly nine out of ten clients said the estate plan created for them did not deal with their goals, wants or objectives. 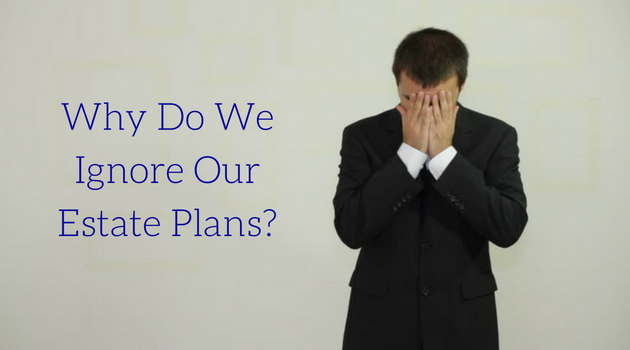 To add to that, 50% of the respondents believed that their estate plan was too complicated to understand, and 50% said they did not implement their plans because they felt very nervous. This nervous feeling was generally due to the fact they felt they had no control over the matter. If a client felt their plan did not deal with their goals, wants, and overall objectives, the creator of the plan was unsuccessful in discussing and determining what is and is not truly important to the client. In the cases where the client felt their plan was too complicated, the advisor failed to explain and gauge the client’s ability to cope and understand the sophisticated strategies their plan entails. The results of this study underline the importance of creating a plan that makes sense to the client; and it must makes sense on a number of levels. First, the client must understand how the plan achieves their goals. In order to achieve those goals, you must be able to uncover the top priorities of your clients. Communication is key! Second, the client must understand the mechanics of the process. And lastly, the client must feel in control of their estate: Can he or she make changes once everything is set up? What options can be leveraged should a situation change?